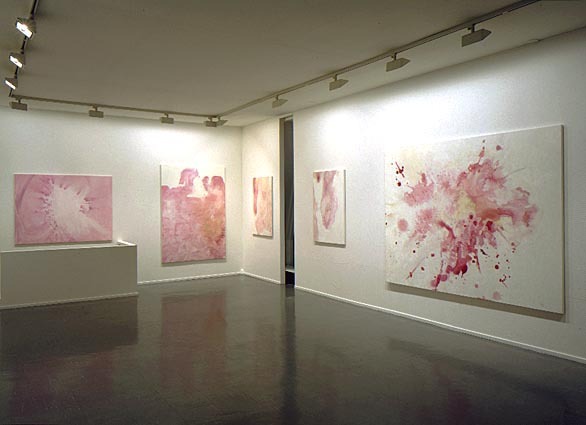 one of three installation views. Test paintings 79-83 are visible. This exhibition was held jointly with an exhibition of colour photographs documenting the construction of the Taejon chimney, at Valokuvagalleria Hippolyte, also in Helsinki.